I’m not trying to wade into politics here – although I’ll gladly discuss my second fave topic elsewhere – but this interview with a Texas Congressman can serve to teach all journalists how to address sources who attack, deflect, obfuscate and conflate. Just imagine that an athletic director, coach, commissioner or agent is speaking instead. Rep. Kevin Brady, the source interviewed during a segment on MSNBC’s “Morning Joe,” was asked about part of a tax bill that will probably come to a vote later today by Willie Geist, among the better interviewers on TV. In particular: he asked about carried interest, a term very few people know much about. But isn’t that a reason we watch, listen and read news? 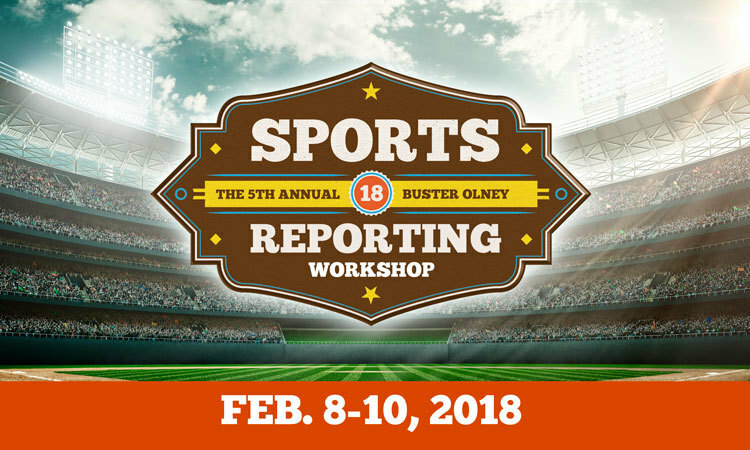 Granted, I am a bit biased since I have been involved with the CMI Sports Reporting Workshop since its inception five years ago, but you won’t find a more impressive list of sports media professionals anywhere. Notre Dame athletics is the most recent sports organization that just doesn’t understand how to work with the media – and, thus, to grow popularity and revenue. Instead of embracing coverage, Notre Dame decided to dictate strict, inhibiting – and, at times, paranoid – rules for sports journalists attending the football team’s practices. On this week’s sports media podcast, we talk with Erik Hall, who was recently named LGBTQ Journalist of the Year by thew association of NLGJA by the national association of LGBTQ journalists. Hall, who writes for Outsports, is the reporter who had been declined press credentials by the St. Louis Cardinals to cover the team’s Christian Day last month.